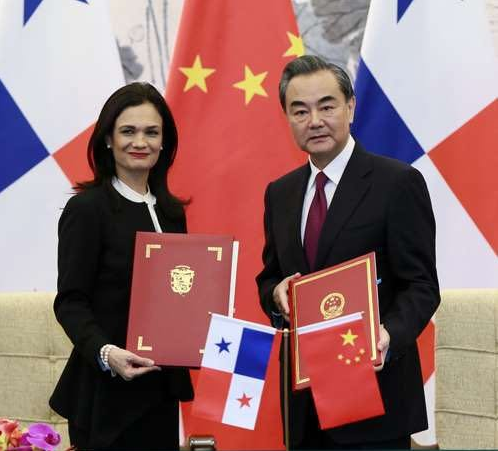 Panama broke off all official ties with Taiwan and established a diplomatic relationship with the government of the People’s Republic of China (PRC). It recognizes Taiwan as a part of China. 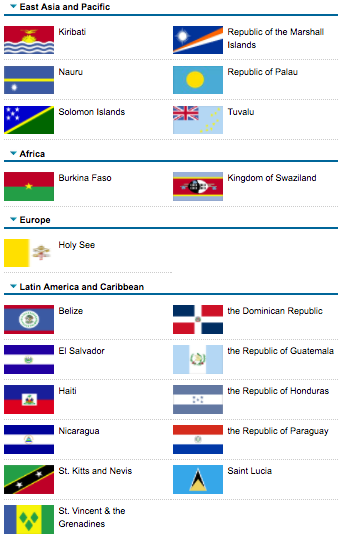 Now there are only 20 nations (image below) left who have official diplomatic ties with Taiwan. 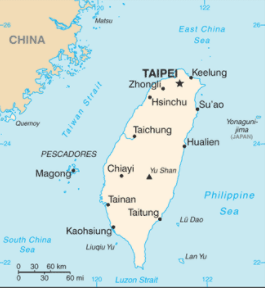 Today, Taiwan has its own government and runs its own economy. China considers Taiwan to be a part of itself. Many countries agree with this but still do business with Taiwan as if it is a separate nation. Many Taiwanese want Taiwan to be an independent country.